Each year The Architectural League in its Current Work program presents the work of significant international figures who powerfully influence contemporary architectural practice and shape the future of the built environment. Richard Meier will present his work in a public lecture to be followed by a conversation with a moderator and fellow partners Bernhard Karpf, Reynolds Logan, and Dukho Yeon in honor of fifty years of independent practice. Recent projects completed by Richard Meier & Partners include the Arp Museum in Germany; the OCT Shenzhen Clubhouse in China; the Broad Art Center at UCLA; and United States Courthouses in San Diego and Islip, New York. Currently under construction are offices in Rio de Janeiro; a hotel complex is Jesolo, Italy; a residential tower in Tel Aviv; a resort in South Korea; two residential towers in Tokyo; and the first phase of a master plan for downtown Newark. 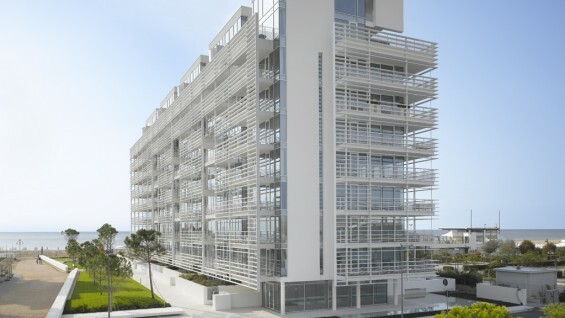 Among the many individual international honors Richard Meier has been awarded are the Pritzker Prize, AIA Gold Medal, RIBA Gold Medal, the Praemium Imperiale from the Japanese government and a Commander of Arts and Letters by the French government.